Membean makes learning dead simple by providing a memory friendly and personalized way to learn essential subject concepts. 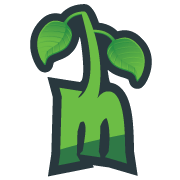 Membean crafts highly engaging learning modules for schools, test-prep and life learners. Our platform allows every student to personalize her learning and chart her own path and pace. Powerful teacher analytics allows every teacher to easily monitor, assess and guide a student. A novel Reinforcement Engine actively arrests forgetting. Our first product is used by schools, test-takers and adults to learn English Vocabulary. Micah is a developer, designer, data collector, and lover of languages — computer, artificial, and even English. After a decade at Intel, Micah decided that he’d rather build things that are fun and useful to young learners. Micah would like to see every child — his own three included — with a Linux machine, an ukulele, and a voluminous vocabulary. Brett has been teaching Latin and English vocabulary for over twenty years. He spent eleven years at St. Mary’s Hall in San Antonio, TX, where he presided as the chair of the Language Department, and taught Latin, etymology, philosophy, world history, and SAT verbal prep. In June of 2005, Brett was named Teen Ink’s Educator of the Year. In May of 2010 he was awarded the Golden Apple teaching award for Tandem Friends School where he teaches Latin. Ragav has been building large scale software applications for over a decade. An information junkie at heart, with a voracious appetite for anything from elegant algorithms to the mating behavior of fire ants (don’t ask), he’s painfully aware of just how little of what we read is retained. He set out a few years ago to bridge the gap between theoretical memory research and practical, usable tools. Membean is a significant stage in that journey. Kamal has extensive experience with building and launching innovative new products. He has driven the quick market ramp of new to market products from $0 to multiple-millions in record time. Kamal holds an MBA with Honors, from the Booth School of Business, The University of Chicago, a MS, Computer Engineering from the University of Texas at Austin, and a BE, Electrical Engineering from the Indian Institute of Technology, Roorkee. Ganesh leads sales and marketing for Membean. He has extensive experience marketing education technology products. As a founder of Specadel, a learning platform, he marketed the product and company leading to its successful acquistion.